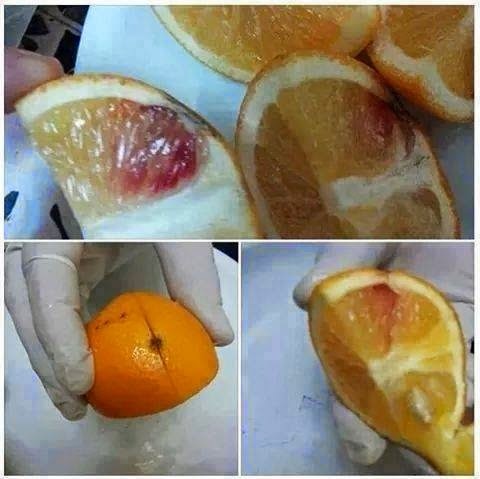 This story has been circulating on the internet, mostly on Facebook, Twitter, and Instagram, since around a week ago, which says that the Algeria immigration officers found large amount of HIV-injected lemon from Libya. This claim was proven untrue, this hoax appeared to be made from some forum and began circulating on internet. If this was true, since HIV can't live outside the body, it will be impossible for the HIV to survive, live, and spread through the air or skin contact, except from used syringes in the hospital which still contain wet warm blood. Thailand once was also the victim of similar hoax, the authority directly told the media that HIV insides the canned food in Thailand was false news. No response yet to "HIV-injected lemons from Libya appears to be a hoax"